Social media platforms such as Facebook, Twitter and Pinterest are unbelievably lucrative platforms for ecommerce. Leverage these platforms with Pixel2URL’s fully-integrated and customized social media optimization strategy. Shoot up your sales and profitability. Build a loyal customer base. Create a strong brand equity. We are your SMM service provider who will help you do all these tasks, and more. Create a bond with your customers by engaging with them on various social media platforms. Have a powerful business marketing strategy for Facebook, Twitter, LinkedIn, Pinterest and YouTube. We are your perfect partner to build a wide and deep base of repeat customers. Your organic presence will improve with effective social media business marketing . Search engines get signals from social media, and we use these signals to give you an edge over your competitors. We will customize social media optimization tools exclusively for you. The return on your investment will go up because all our SMO service packages are competitively priced. You will get all the extras that you don’t get anywhere else. Our past and present customers love our social media marketing service specifically for this very reason. We build the bridge that connects you with your customers. Your traffic increases, you acquire links, and your business gets the buzz it needs. Specifically, your happy and satisfied customers become your publicity vehicles. You get customized service that does much more than a simple social media marketing software. We help you penetrate your target market as well as explore other potential markets without geographical constraints. 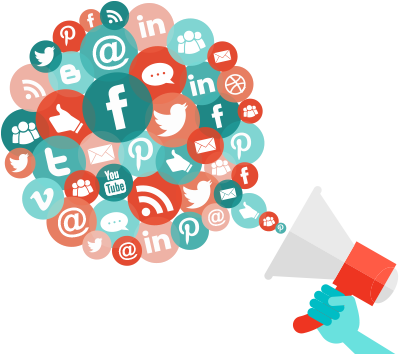 You get our creativity, solid understanding of social networks, and strategic drive to endorse your business on the web. Get an attractive solution that resolves all your social presence problems. We have a strong team of social media experts who are committed to your success. your business, and takes it to the next level. You get the results you are looking for, if not more. Cover all social media platforms: Pinterest, Facebook, Twitter and more.